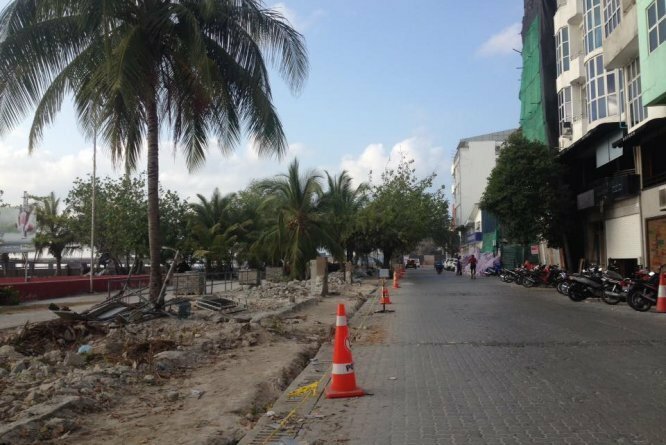 The environment ministry ignored concerns about the ring road expansion project in Malé, sources told the Maldives Independent on Wednesday. 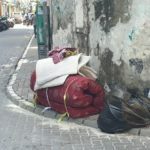 Local media reported there was no environmental impact report for the expansion of the capital’s main outer road, Boduthakurufaanu Magu. Work began on the project two weeks ago, with decade-old trees on the outskirts of Malé felled to make room. The officials who talked to the Maldives Independent wished to remain anonymous. The sources said EPA bosses drafted a three-page letter to the housing ministry ordering it to stop all work on the project immediately, warning of fines if it pressed ahead without following regulations. 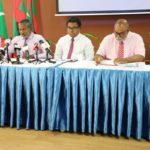 EPA director general Ibrahim Naeem told the Maldives Independent that all questions about the agency’s work should be directed to the environment ministry. 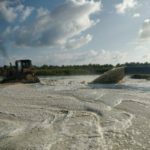 Environment ministry spokesman Mohamed Saeed Moosa Wajudhee said he was unable to comment on the allegations because he was waiting on information from the EPA. 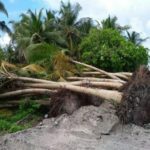 The cutting down of trees around Malé has attracted attention from environmental activists, with the government accused of destroying natural resources for concrete development. The thwarting of the EPA’s efforts comes as the government is criticized for systematically dismantling environmental protection measures. 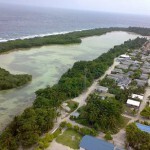 The EPA’s powers to evaluate environmental impact assessments and authorise projects, such as land reclamation for tourism developments, were seized by the tourism ministry in 2015.